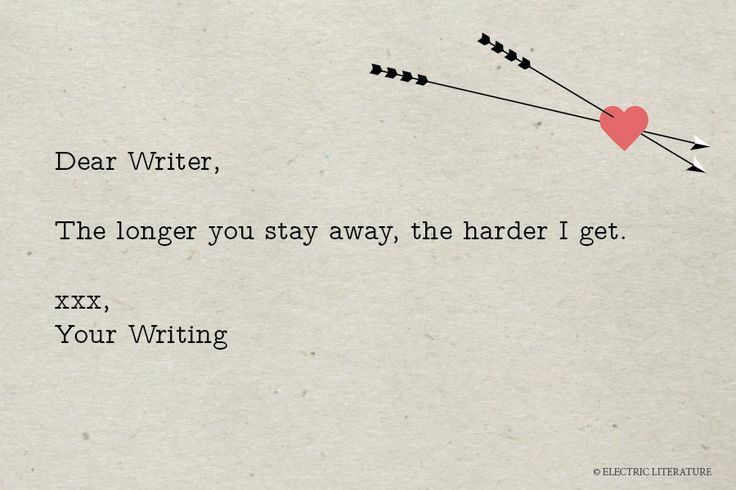 There are a million reasons why I love my writing group, The Wicked Wordsmiths of the West, – their assorted, wild personalities; the hard work and dedication with which they approach a project; the never-a-dull-moment meetings – but most of all, I love the way they recharge my batteries. Our meetings are once a month, and often fall on a day when I’m having the worst case of Mondays and the idea of staying two and a half hours after work fills me with dread, BUT the second I enter the meeting room, everything changes. 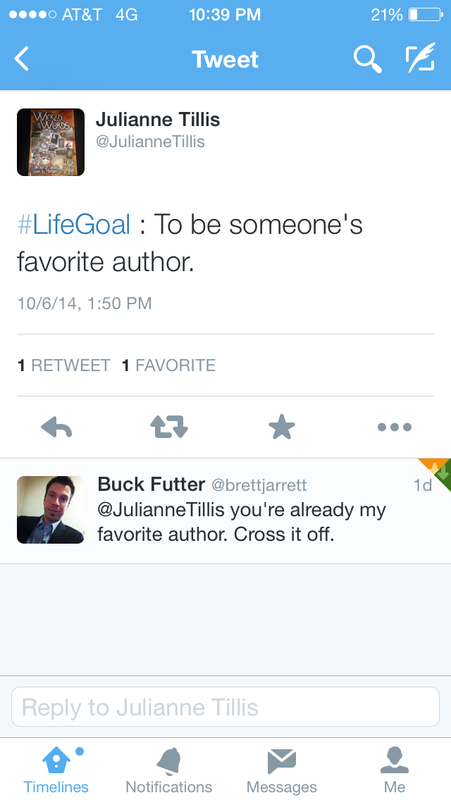 These people pep me up and get me excited about writing. Even when I’m feeling like a talentless hack and, like lately, haven’t been able to churn out anything worthwhile… by the time I leave the meeting, I’m racing home to write because I feel the drive and inspiration. That was especially true in February’s meeting. Three of us presented writing prompt activities that covered a variety of topics but also included an element of fun. Knowing how much those prompt activities helped pull me out of a writing rut, I decided it would be a good idea to share them here and maybe inspire someone else who might be struggling to get their pen moving. This was a short and simple prompt that I presented. It was right after the Oscars, so drawing on that, I had the Wordsmiths construct their Oscar-style acceptance speech for winning Best Book of the Year. Most all of the Wordsmiths have a project that is either close to being ready for publication or a project that they are working continuously on, so the catch was that, in their acceptance speech, besides thanking their family, God, publisher, etc., they also had to draw out details that actually described what their “Best Book of the Year” was about. This helps us be concise when summarizing. Not many of us actually like reading our writing out loud, but this prompt seems to have been the exception. We had quite the mix of hilarious, dramatic readings and those who gave sage advice about writing as an art (that I swear sounded like they could’ve been quoting Neil Gaiman…they were just that good!). Nice, right? The one on the left was easy because my first thought was that it reminded me of an abandoned library, and really who WOULDN’T want to live in a library? The one on the right, however, proved that I would have to get creative because nowhere in my vocabulary could I find specific terms for Victorian architecture. At the very least, I did compare it to a gingerbread house, but this one was especially challenging. It definitely made for good practice when writing what you don’t actually know. After each person read a description, they would pass around the photo they’d been working from. 99% of the time, I could see the houses vividly in my mind before the photo arrived in my hands. 3. The conflict in the story is what is under your bed. If you are one of those organized minimalist people and don’t store anything under your bed, then here’s your other option: your protagonist wants the last item you purchased. 4. Your protagonist is wearing what is hanging in your closet, second item from the right. I will give you another option if you hate what is hanging second from the right. Your character may wear whatever clothes you left on the floor last night. If there are only your white socks that you didn’t put in the clothes hamper on the floor, here is a terry-cloth robe and a pair of pajamas for you. 5. The protagonist’s hair color is the color of your dog, or your cat, or your neighbor’s dog or cat. If both of your neighbors have pets, go with the neighbor on your right. There you go! Three different prompts to get you going, now get to it! Happy writing! Oh November, you cruel mistress. Teasing me with just how easy 50,000 words should flow from my fingertips, and then hitting me with one distraction after another. Needless to say, we are in the last week of National Novel Writing Month, and I am severely behind. Just like everyone else, I had a good start to the month. Fresh idea, a decent outline, and plenty of write-ins planned for the month. Best of all? I took a vacation the first full week of November. Well, for me personally, that was the best part of the month. 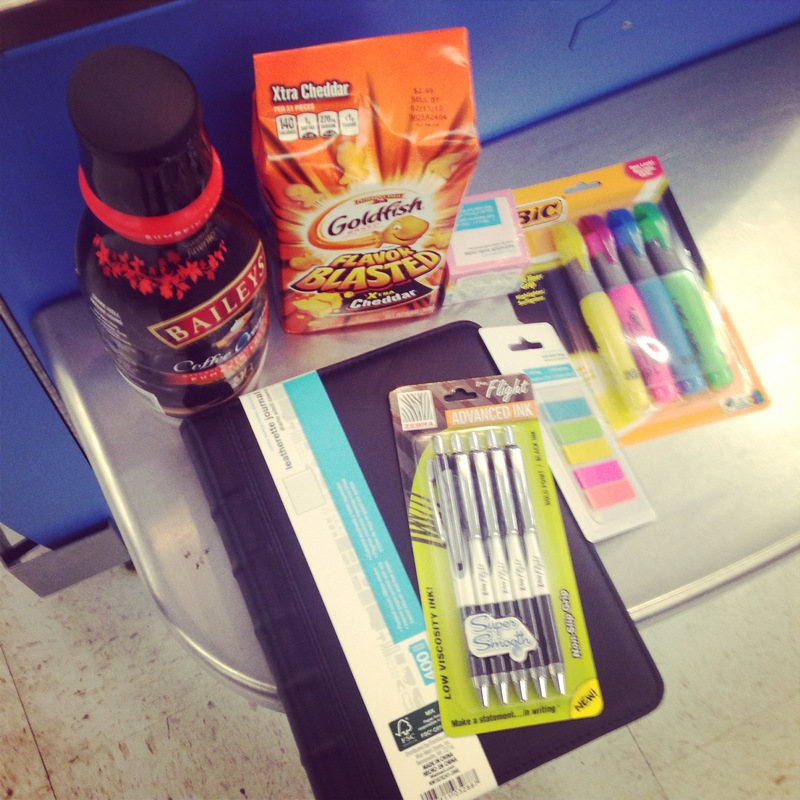 For my writing, ehhhhhh… Let’s just say I didn’t get as much done as I thought I would. 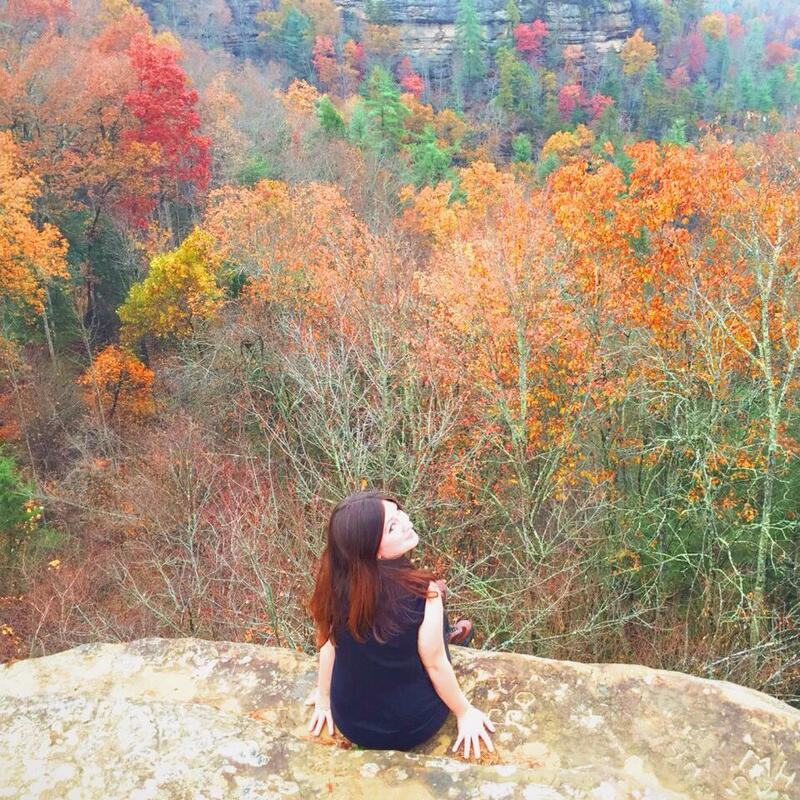 The beginning of the week was spent in Red River Gorge, KY, in a beautiful cabin in the woods. 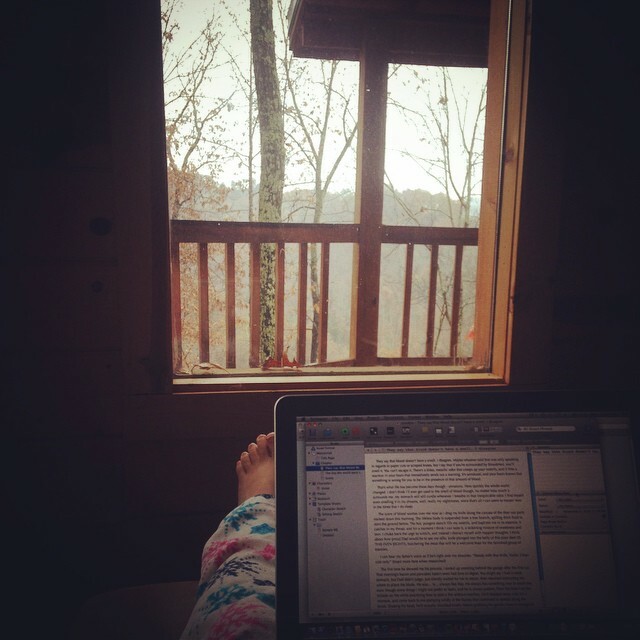 I woke up our first morning there, determined to write. There was rain echoing off the tin roof, I was still in my pajamas, and the recliner couldn’t have been comfier. Quickly, I knocked out a thousand words, jumping headfirst into the story. I was feeling pretty good about myself, and then, just as suddenly as it started, the rain stopped. The weather clearing, my wanderlust took over. So really, could you blame me? Who wants to stay behind a computer screen when the view is this nice? We spent the day hiking up to and around the Natural Bridge. It’s a gorgeous sight to see if you’re ever in the area. It’s even better if, once you’ve finished hiking for the day, you can return to your private cabin in the woods and soak in a fabulous hot tub surrounded by nature. Why yes, it was the dream vacation. We spent the rest of the week seeing the Bengals play (horribly) in Cinci for Thursday Night Football, and then we were back to Lexington for a few days to spend time with a friend and check out some local breweries. Words weren’t made, but memories were, and that’s really what counts. Once I was back in town, I was determined to get back down to the NaNo business. I’ve hosted write-ins on every Monday this month, as well as having our Kick Off on the 1st and our Halfway There on the 15th. Our Mad Dash End of the Month Sprint is just a few days away on the 29th. And where am I? Less than 15k. No, that’s not less than 15k from the finish line. That’s less than 15k total. So what happened? I guess a lot of things factor in. I hit a depressive streak that I’ve struggled to pull myself out of. I’ve dealt with several stressful scenarios in my personal life this month. And generally, it was just hard to even get time in front of a computer, let alone put words on the mockingly empty screen. But the BIGGEST factor? I care about this novel. You might say, “So? You SHOULD care about what you’re writing!” Yes, very true. But I care to the point where I’m scared to rush it. My first NaNoWriMo novel, as I’ve likely mentioned before, was a steaming pile of poop. Why? Because I didn’t really care about what I was writing. Sure, I thought the idea was pretty cool, and I had some fun characters to play around with, but I knew the whole time I was writing it that it wasn’t going to add up to anything even worth editing. So, I didn’t. It’s gone untouched for years, a hot pile of word vomit just tucked away in my hard drive. But this year? I love the idea for this story. I love how it originated, I identify with the characters on a personal level, and I’ve put a lot of myself into the words I’ve managed to wrestle out. And you know what? They aren’t all that bad! Sure, there are places where I really need to go back and fine tune the details, but overall – I’m happy with the direction it’s going. So maybe this one isn’t meant to be finished in 30 days. Maybe I shouldn’t rush it. Finish it, for sure, but don’t rush it. Do it the justice that it deserves. I’ll continue to peck away at my word count, but without 50k being the goal point (Besides, this is honestly a story best told in about 100k). Don’t they have some saying about slow and steady winning the race? Yeah, that’s me. Let’s just not time this race. In other news, I have entered the NYC Midnight Short Story Competition as a further motivator to actually finish something. How does the competition work? To me, it’s worthwhile even if I go out in the first round because I’ll still receive helpful criticism from the judges. From what I’ve read, a lot of people vouch for how constructive the judges have been with their comments. I’ll give it a shot, as I tend to be more comfortable with cranking out short stories rather than whole novels. Here’s hoping for the best, as I could certainly use a confidence booster with my writing right now. In just a few short weeks, I will once again be taking part in the insane challenge that is NaNoWriMo (National Novel Writing Month). For those who are unfamiliar, half a million people from across all seven continents take part in a personal challenge to write 50,000 words in the 30 days of November. 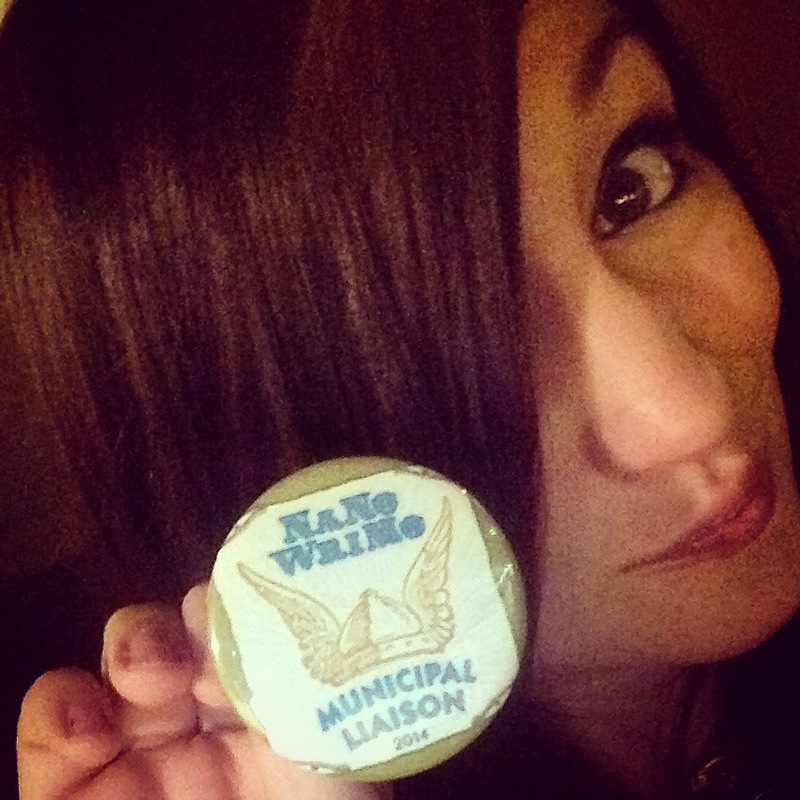 I discovered NaNoWriMo just three short years ago, and I’m proud to be the head (Municipal Liaison) of my local region in West Virginia. This competition has done so much for me, from breaking down my own personal writing barriers to introducing me to a core group of local writers I now call my friends. But before I get all mushy about how much I adore NaNoWriMo, there’s a harsh truth that you should know… NaNoWriMo is HARD. Seriously! It takes dedication to push yourself to write at minimum 1,667 words of your novel each day. There are plenty of days where I just want to wave the white flag and hurl myself back into the comfort of my bed, far, far away from that daunting document on the computer screen. A lot of little items could fall under this catagory, but these are the things that I need well before November starts. Depending on how you prepare for NaNoWriMo, you will be known as either a Planner (you plan your novel in advance) or a Pantser (you “fly by the seat of your pants”, no planning, you start fresh November 1st with zero preconceived ideas for your novel). I’ve tried both methods, and though, while I “won” the year I was a Pantser, I ended up hating my novel entirely and never touching it again. I generally feel more confident in my ideas when I’ve planned. Therefore, you’ll note in the picture the large journal (for recording any sudden bursts of inspiration and outlining my scenes. This is much easier to carry around everywhere than the laptop I actually write on, and it makes it easier to refer back to my notes while writing.). There’s also an assortment of pens (can never have too many), post its (for outlining scenes so that they can be rearranged), tabs (for sorting character, plot, and setting outlines), and highlighters (so I can easily find the important bits!). You might also note my investment in munchies (Can we talk about how delicious goldfish crackers are for a minute?) and coffee creamer (Pumpkin Spice Err’thang! Don’t judge.) Our region’s first Plot In happens next week, so I’ll definitely be putting all of these items to good use by then, and I’m sure they’ll continue to serve me through the wild insanity that is November. I adore this mug, given to me by one of my region’s Wrimos, and I use it far more than any other coffee mug I own. Why? Because it proudly proclaims what I’m doing. For many years, I struggled with the question, “When can I call myself a writer?” The word itself is subjective. Does a published manuscript make you a “writer” any more than the person with a hard drive chock full of stories? Not really, no. It’s having the drive to create and perfect your craft. 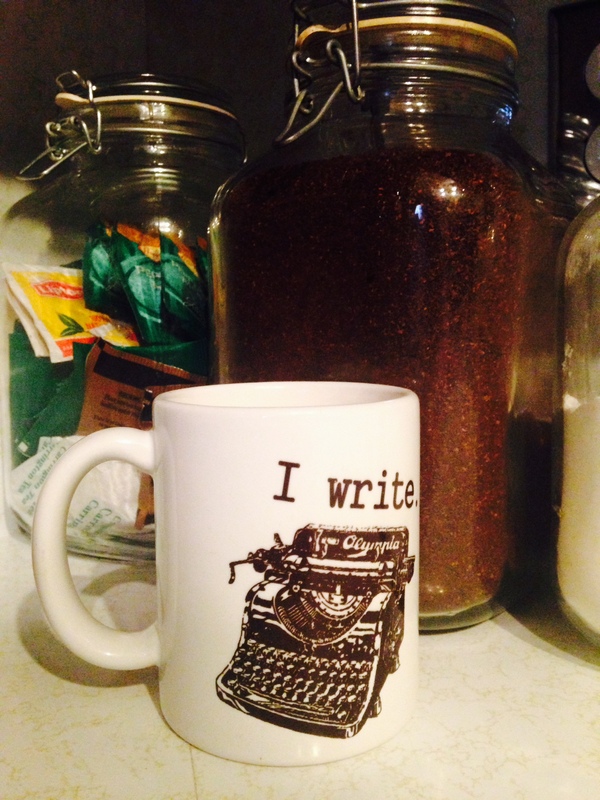 Calling myself a writer has given me more confidence in my actual writing, so I like having this mug as a subtle reminder of that. I recommend finding a fun mug that fits you, and using it often throughout November when you are in dire need of that caffeine break. I keep copious amounts of coffee and tea on hand, not just because they are both delicious nectar of the gods, but because I find I’m more productive either at the crack of dawn or the wee hours of the night. A little boost during those times can keep me powering through my daily wordcount. You’re about to embark on a rather trying and difficult journey. The more people who know about what you’re doing, the better. These are going to be the people who hold you accountable. Tell your husband, wife, kids, boyfriend, girlfriend, aunt, uncle, cousins, boss, coworkers – TELL EVERYONE. Proclaim to all of social media that you ARE going to write 50,000 words in the span of 30 days! Sounds terrifying, right? When no one knows the challenge you are undertaking, you feel less guilty when you fall short and give up. By telling everyone, you will have people pushing you to succeed, guaranteeing you don’t give up on your project. If your region has in-person write-ins, GO! If you can’t make the in-person events, be active as an online presence; whether it’s NaNo forums, a regional Facebook page, or just the #NaNoWriMo on Twitter. You’re sharing this wild experience with half a million other people. If anyone is going to understand the struggles you now face, it will be them, so use that to your advantage! Cheer each other on to the finish line. They’re warmer on the inside. This has been a personal tradition for me. I tend to always have a pair of fingerless gloves around during our Write-Ins – A) Because I hate being chilly in the least & B) Because they just look so cool. I’ve gone from a pair I crocheted myself, to just regular compression gloves that help my not-so-old-lady arthritis, to these beauties. 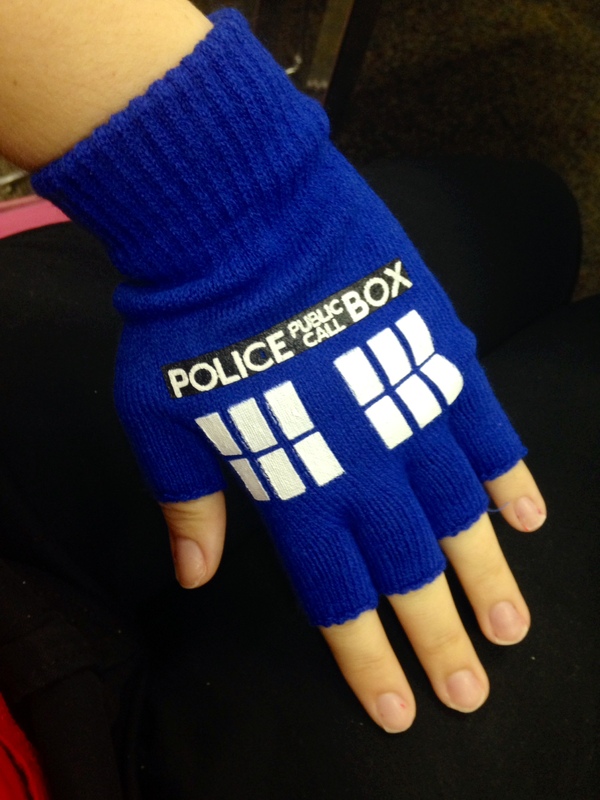 My TARDIS gloves were a recent gift from a fellow Wrimo and Wicked Wordsmith, and I just adore them. Be jelly. I earn merit badges just for being this awesome. Not in the YOLO sense, but what’s better than NaNo swag items? Nothing, that’s what. This is an added benefit of attending in-person write-ins. Usually, your region’s ML will dole out awesome NaNo themed items or prizes. I like to give out official items direct from Office of Letters and Light, like our yearly NaNoWriMo stickers, but I also like to include my own items to motivate my Wrimos. This can be ANYTHING. This year, I’ll have merit badge buttons made up for different achievements – Little achievements to work towards and strive for as my Wrimos push towards the ultimate goal of 50k. I also keep a prize bag full of random prizes, everything from flash drives to Rubik’s cubes, to give out during our word sprints. I’ve found that a lot of Wrimos like to use these prizes as their personal motivators or mascots. Last year, I’d purchased a glass paperweight shaped like a squirrel for fifty cents from a Goodwill, and it surprisingly became one of the most sought after prizes at our Write Ins. While I worked on last year’s novel, I had a stuffed vampire mascot that would sit beside me whether I was writing at home or at one of our write-ins. 50k in 30 days is totally doable. This year, I’m using this one, found on deviantart. I set it to my computer’s background. That way, even when I’m not on the NaNo site, I can still be reminded of where my wordcount should be for the day. It also serves as a nagging suggestion to keep off of social media and other distractions until my count is met. The inspirational quotes are an added plus to this one. That’s all I really need. 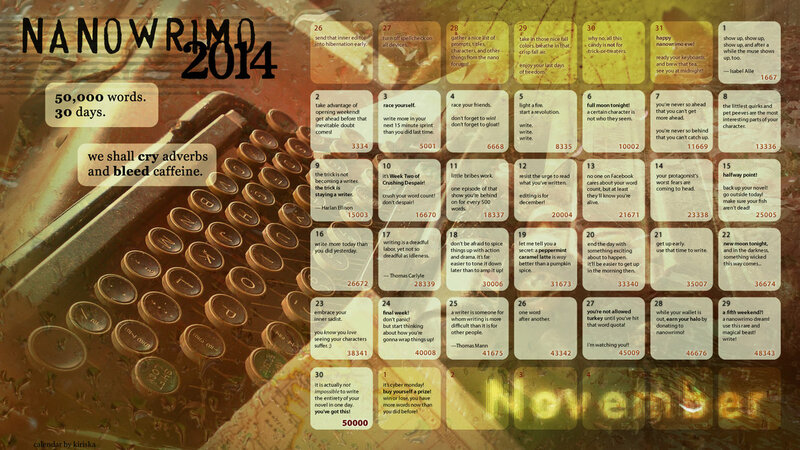 I gather my Survival Kit, and on November 1st, I’ll open a new document on Scrivener and it’s ready, steady, GO. Feel free to buddy with me on NaNoWriMo – you can find me at earthsnake89. And remember… the most important rule to having a successful November, is to HAVE FUN. That’s all it takes!